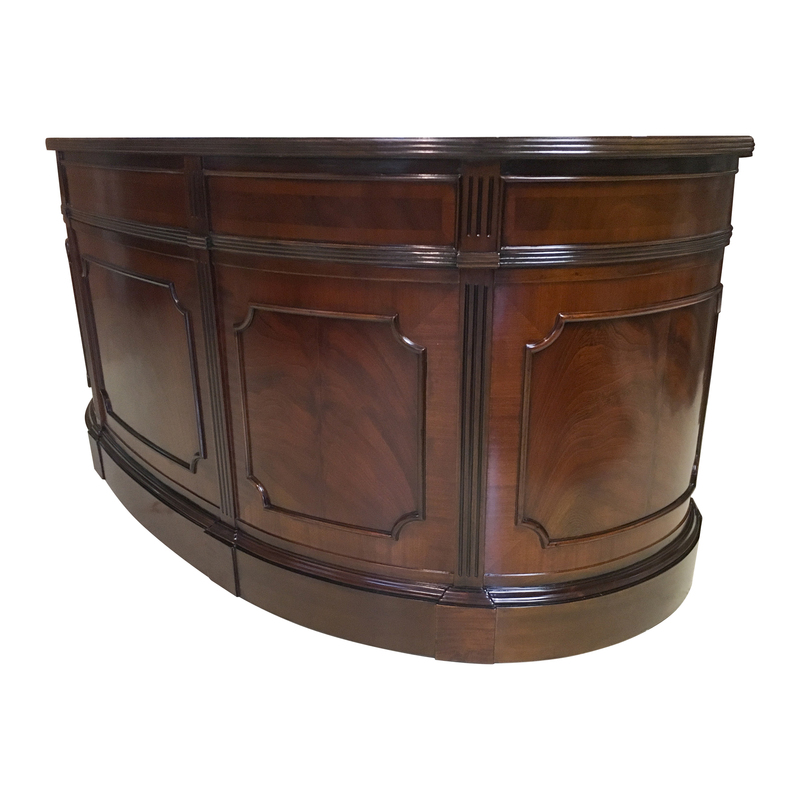 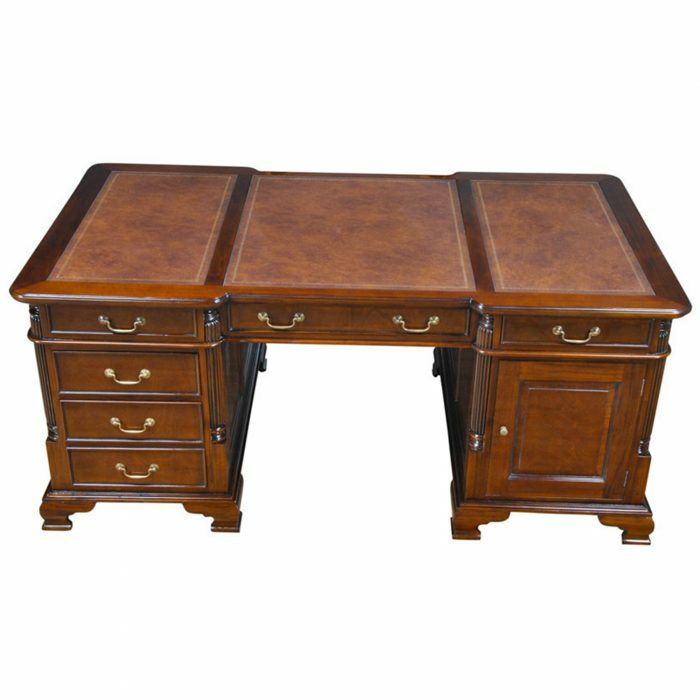 One of the most beautiful items that we produce at Niagara furniture our Oval Partners Desk with Privacy Panel will certainly also be one of the most popular. 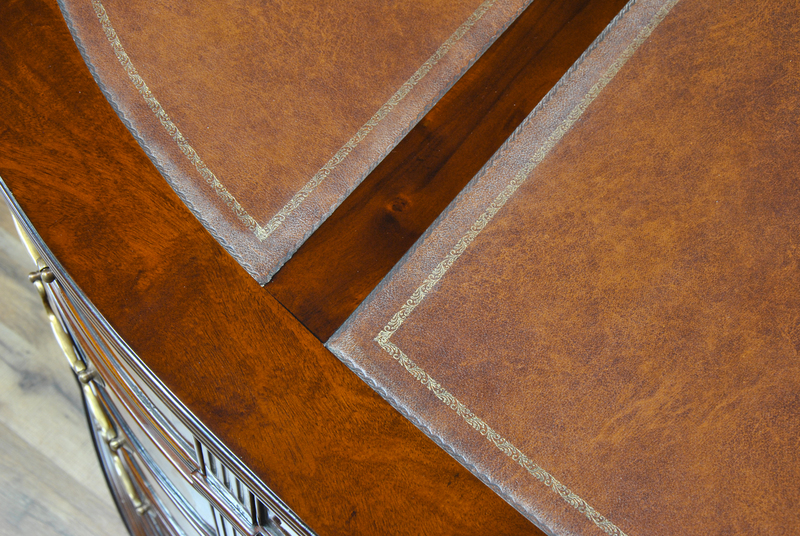 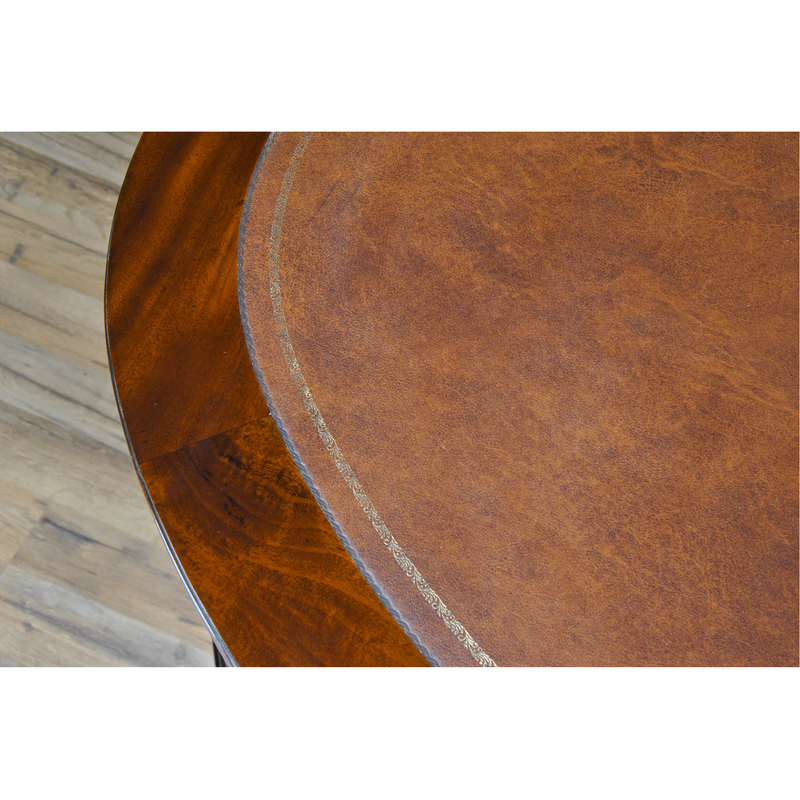 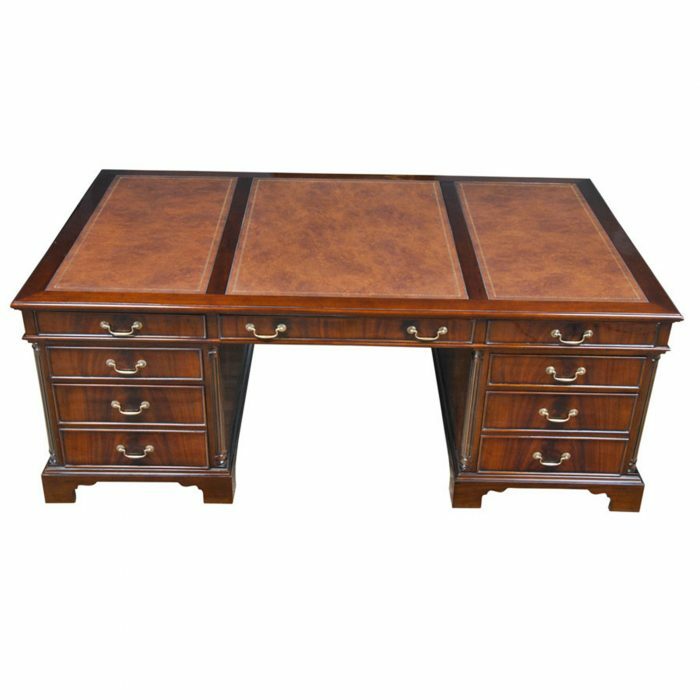 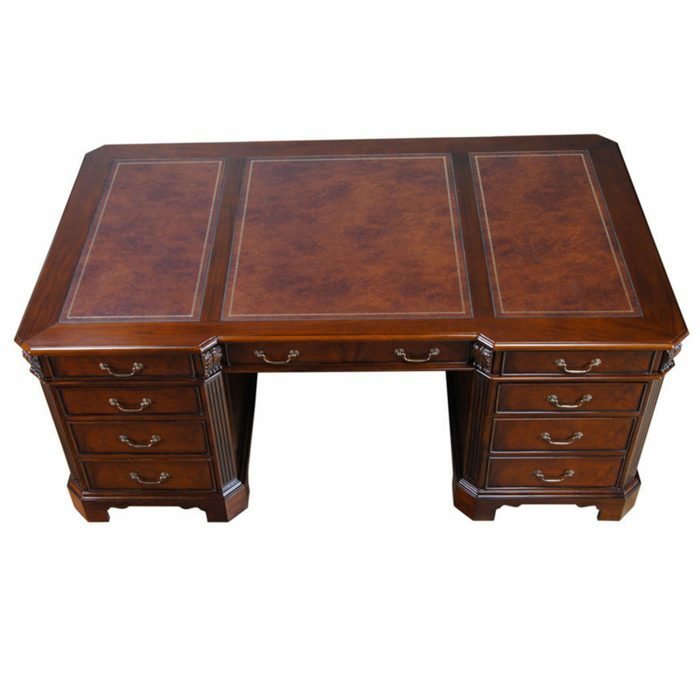 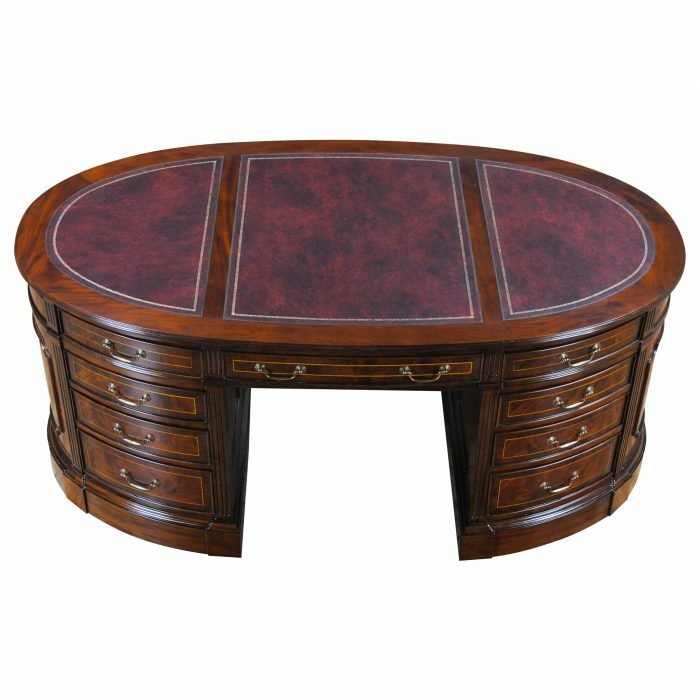 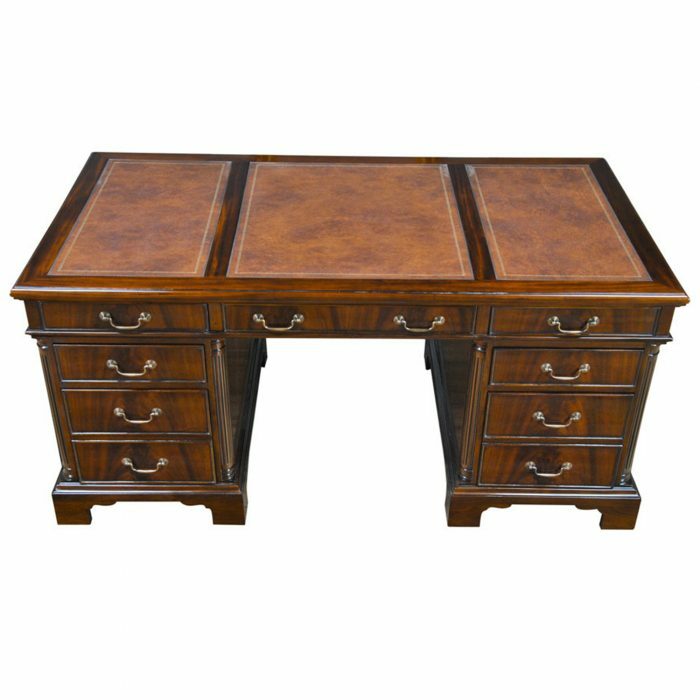 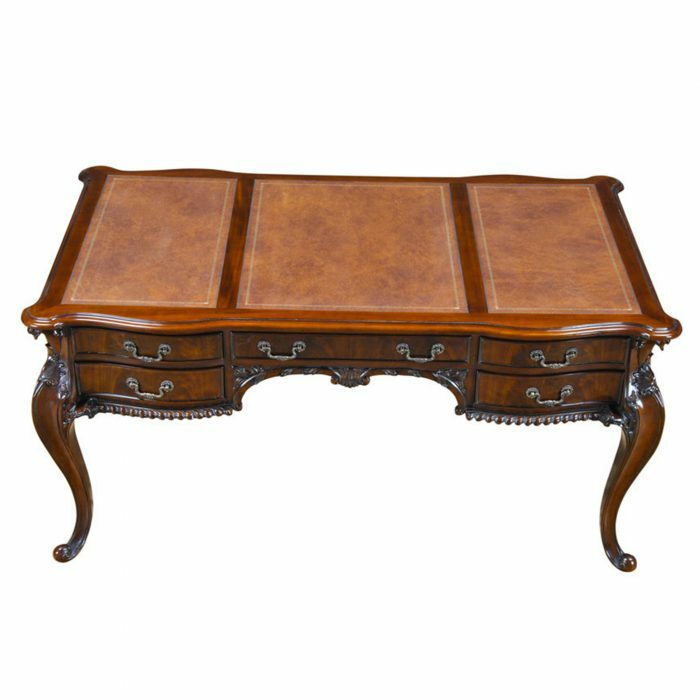 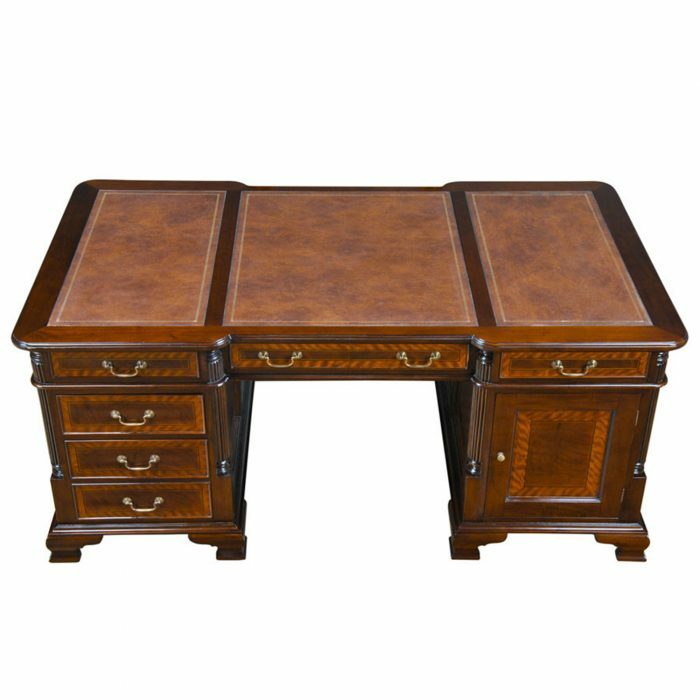 The top section of the desk consists of a three-paneled writing surfaces of brown full grain genuine leather which features antique style gold tooling and three drawers on the desk side. 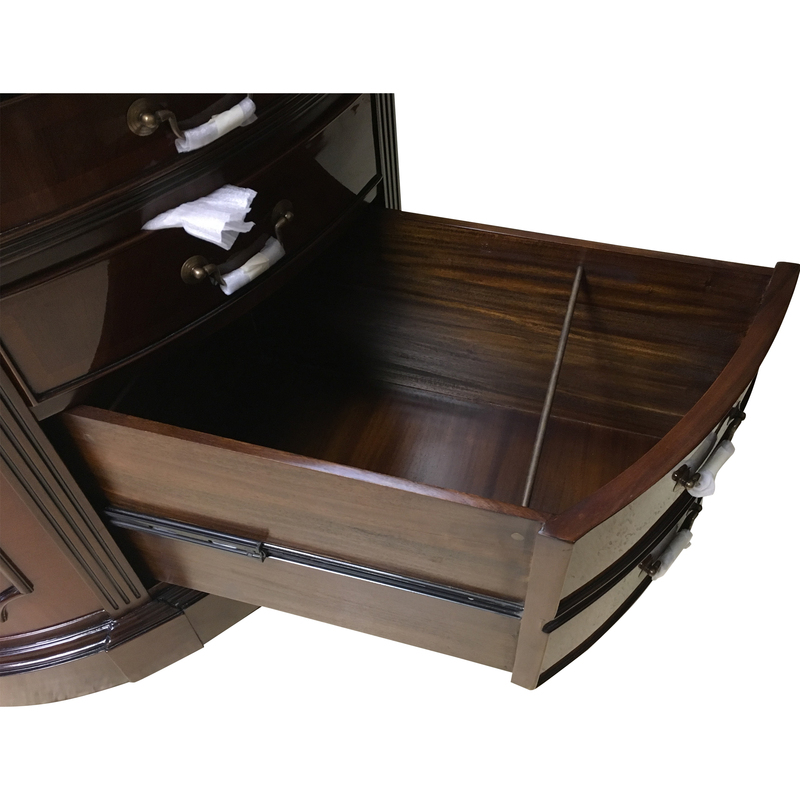 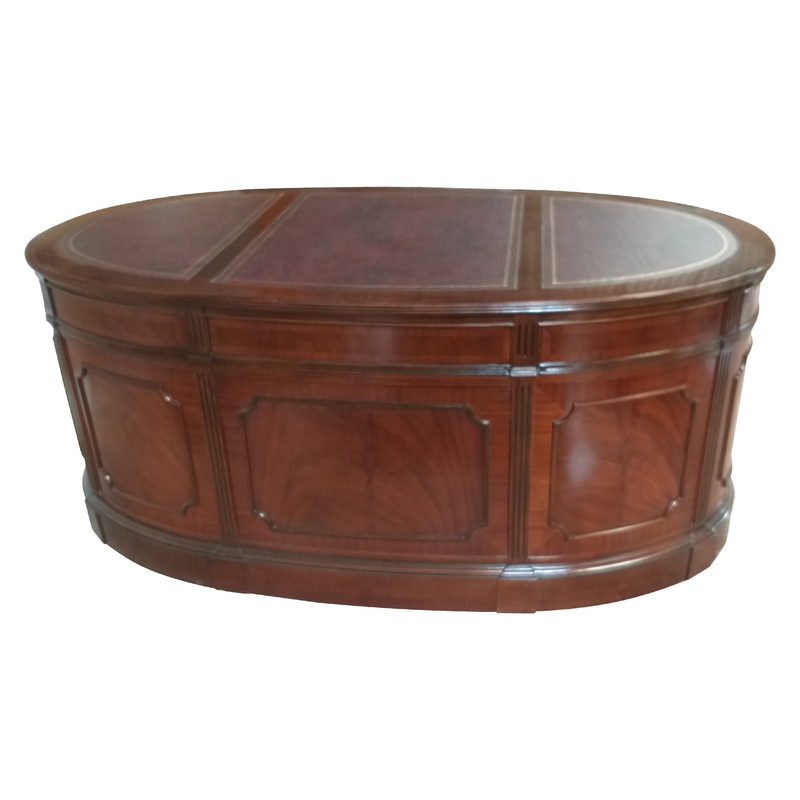 The drawers are built using dovetailed construction for strength and they are beautifully decorated with figural mahogany surrounded by sapele mahogany banding. 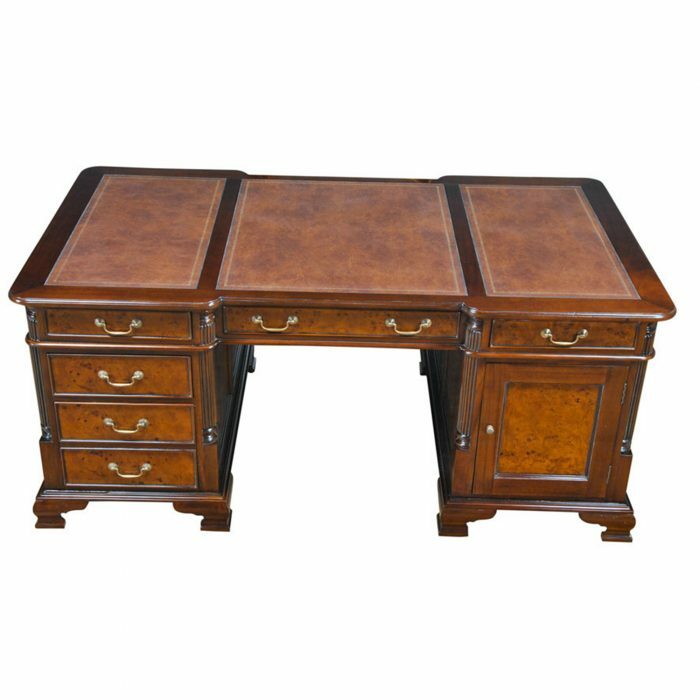 One pedestal bank of the desk contains three more drawers while the other pedestal bank has a file cabinet built in as well as one more drawer. 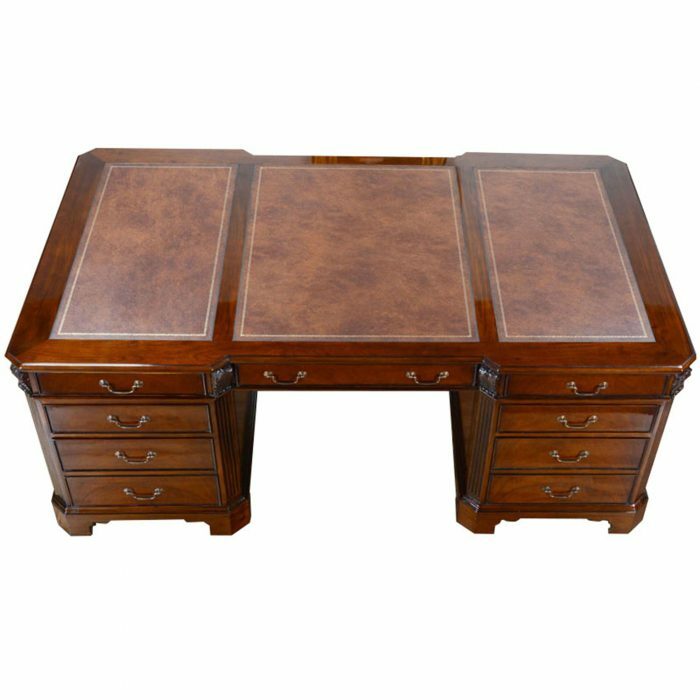 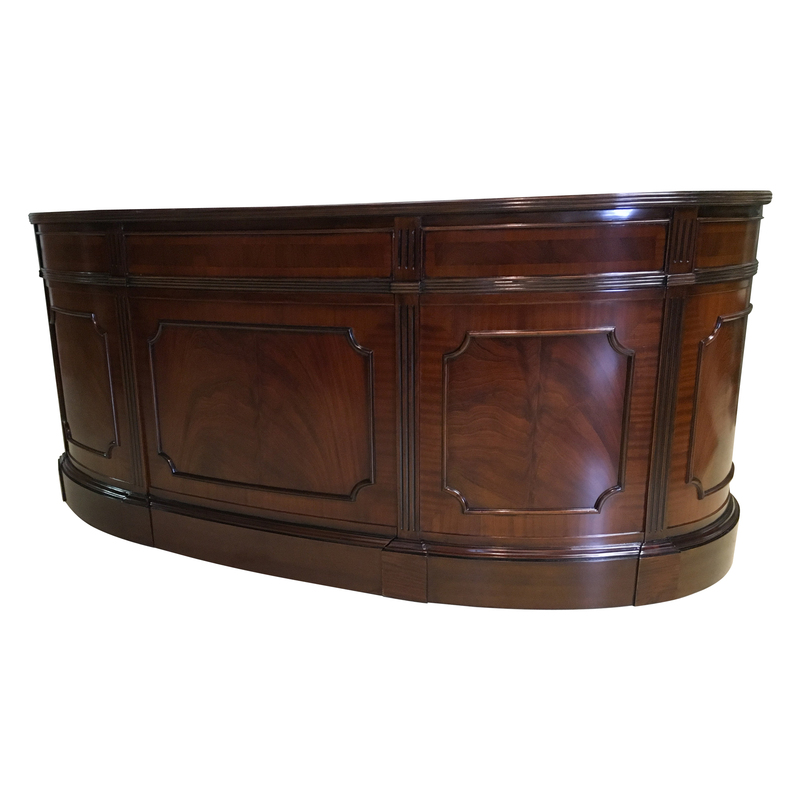 The side section of the desk as well as the privacy panel also feature wonderful figural mahogany veneers. 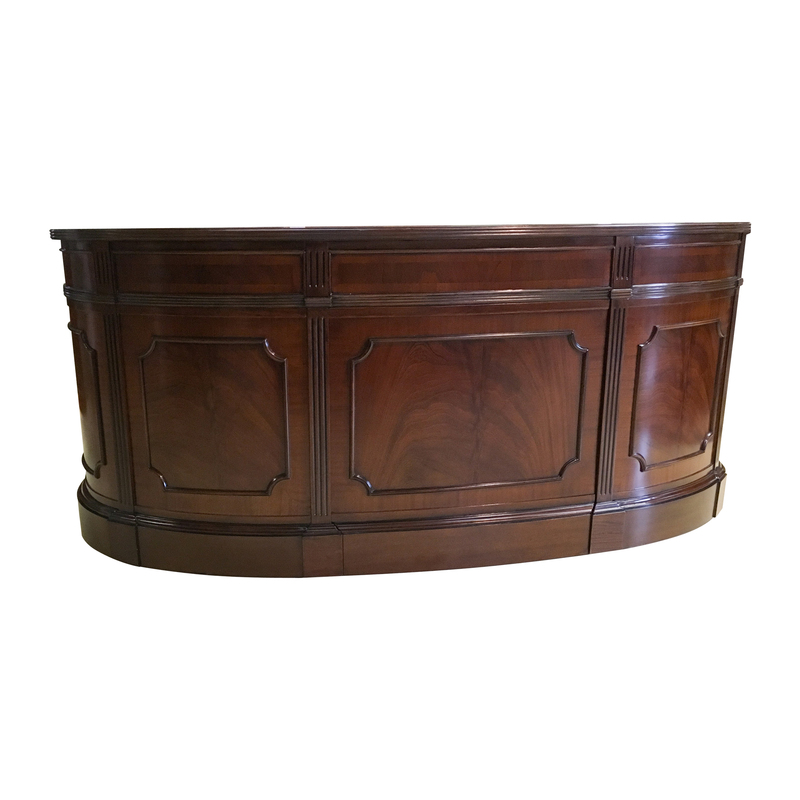 The Oval Partners Desk with Privacy Panel is a great quality piece of furniture that can be easily shipped and installed due to its’ ingenious four part construction.